HEAT TRANSFER PAPER IRON ON DARK T SHIRT INKJET PAPER 50 PK 8.5x11"
Dual Element Heating New Clamshell Style Heat Press 5"X5" Rosin Press Yellow CA! Laser power: 3000mW. 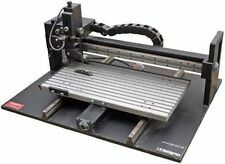 1 x Laser engraver. Step 4: Connect the engraver to computer. 1 x USB disk. Laser has power.skin exposure to laser is strictly prohibited. Insert the USB disk. 1 x Laser focusing paper. 1x 3x5 " Rosin Plate ( Top Plate & Bottom Plate). 2 x heating rod ( 9.5 x 120mm, 2 x 150W ). Plug and play 3”x5” plate set up. We use 6061 aluminum because it is light, strong, and has excellent heat transfer, causing no hot spots! Laser power: 3000mW. This is a multifunctional laser engraving machine that is small and portable and can be placed directly on the surface of any flat object for engraving. It can be engraved in a variety of materials. 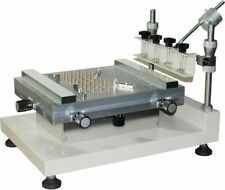 This 3000mW DIY desktop blue laser engraving machine is ideal for amateur. 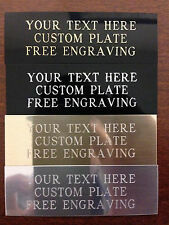 laser engraving usage with grayscale printing,low-light positioning and freedom. 1x DIY Desktop Mini Laser Cutting/Engraving Machine. Laser power: 2000mW. -- Can easily cut about normal hardness to soft wood. Hard types of woods should be tested by yourself. 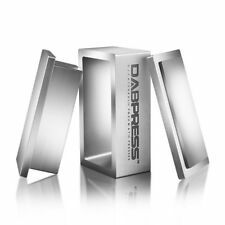 -- This machine can mark on stainless steel, iron and colorized anodized aluminum, can not engrave/mark on gold or silver, brass, etc. 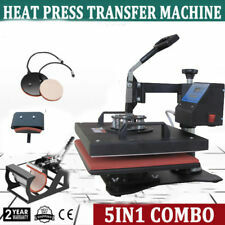 Double hole enail heating plate, suitable for double sides print/press. 1 4x7" Rosin Plate Kit. Heat plates are made by aluminium, light but heavy duty use heating. Thick heating plates make sure high pressure for work. Simple, modern, precise, and versatile pen plotter, support writing or drawing on almost any flat surface. Support laser engraving extended, the plotter pen can be replaced by laser engraving module(laser module is not include). Quantity: 50pcs. 50pcs x Heat Transfer Paper. It is compatible with inkjet printers but it is not compatible with laser printers. Size: A4(297x210mm). Compatible with chemical fiber cloth/cotton cloth/blended cloth (not compatible with silk). Compatible with most printers using piezo heads AND NOW ALSO COMPATIBLE WITH SAWGRASS VIRTUOSO PRINTERS SG400 AND SG800. Instructions dye sublimation heat transfer paper While printing, make sure that image is printed as mirror image. This mini laser engraving machine features the function of print carving and more practical than normal engraving machine. 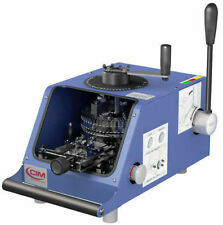 This mini laser engraving machine with higher precision and. Support Software：NEJE Laser_Carver. Trending at C $159.55eBay determines this price through a machine-learned model of the product's sale prices within the last 90 days. 3 pcs Silk Screen Printing Squeegee Ink Scaper Scratch Board Tools 6.3" 9.5" 13"
This is a 15W Laser module that could give out 450nm blue laser light. Laser Wavelength: 450nm (Blu-ray). Output Power: 15W. Modulation: TTL. 1 x Laser Module. Large heat sinks and cooling fan ensure better heat dissipation during work. Must use sublimation ink to print. Professional tattoo stencil transfer paper. 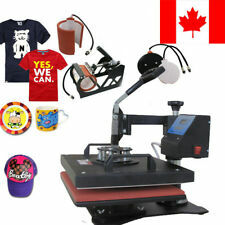 Print transfer paper, and then transfer the printed transfer paper to modal material and white cloth by using heat press machine (Not included). Model Number: NEJE DK - 8 - KZ. - 1000mW blue and purple laser head, higher speed, support more types of materials. - Design for engraver printer machine. Note: The others are not included in the picture, except the laser head. Axis: 2 (X & Y axis). 1 x Writing robot (assembly kit). Simple, modern, precise, and versatile pen plotter, support writing or drawing on almost any flat surface. Work area: A4 size. Detail Image. Power: 12V 1A. 10 PCS WHITE WATER SLIDE DEDAL PAPER INKJET WATERSLIDE TRANSFER PAPER 8.3 11.7IN. 10 PCS INKJET CLEAR WATER SLIDE DEDAL PAPER WATERSLIDE TRANSFER PAPER 8.3 11.7IN. Gold Foil Paper Imitation Leaf Gilding Furniture Foil Paper For DIY Craft Decor. (Neenah 3G Jet-Opaque®. 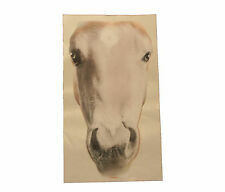 The process is to inkjet print the image on the paper right reading. The image should be cold before removing the ironing sheet. Why buy 3G Jet-Opaque® ?. 5) Can be used with any printer that uses ink (AKA inkjet printers/ Bubble Jet Printer). DIY desktop blue laser engraving machine is ideal for amateur laser. engraving usage with grayscale printing,low-light positioning and freedom. 1x DIY Desktop Mini Laser Cutting/Engraving Machine. Engraving Area:65x50cm(maximum). NEW VTG Spanish Flower Folding CHINESE FAN Dancing Wedding Party Decor Fan Gift. 5M Black PU Leather Rope String Cord For Necklace Jewelry DIY Making Craft Lots. New Car Shape Wireless Cordless Optical Mouse Mice USB Receiver for PC Laptop. 1x 3x5 " Rosin Press Plates ( Top Plate & Bottom Plate). 1x Double PID temp. Heating Press Plates information 2x heating rods. Plate Thickness: 30mm. Plug with ABS resin, a special leak-proof protection device to ensure that coater glue at the best angle. 1x Emulsion Scoop Coater. -Aluminum alloy, high strength, wear resistance, corrosion resistance. Printed area: 6oz / 11oz. -Our products belong to the use of Fahrenheit, and can not be used in degrees Celsius. 1x Cylindrical heat transfer baking coasters. -Can be made into any shape, including the cone shape, rectangular.